A few months ago I rehomed my baby Because I could no longer keep him as I could no longer afford his vet and general care. The apartment I moved to also did not allow pets much to my disappointment. I was contact by a seemingly nice family but it turns out they never continued his necessary vet care and it's been about 5 months. The contact person with this family said I could pick him up because he is no longer wanted. He needs a new home with in 3 weeks. I don't have updated pictures. I am very afraid he has lost some of his fur and has been itchy and terribly uncomfortable In the months he hasn't seen a vet like promised. I was honestly thinking he was being loved and cared for like I would do if I could. 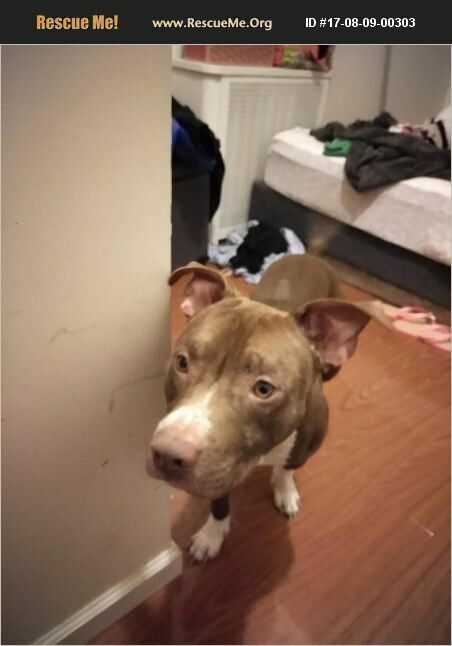 I will try to get updated pictures as soon as possible if the contact person is agreeable.He is such an incredibly sweet and very loving dog . He loves to cuddle, play, be outside. He is super friendly with cats, other dogs, children of any age and people in general( he's a social butterfly). He barely barks. He has a lot of energy. He is Microchipped. His vet care includes anti itch medication and medicated shampoo. He has a few shots that he will need coming up as well. I need to find him a home asap. My heart rebreaks to have to rehome him but I CANNOT let him go to a shelter, he is in desperate need of truly loving and warm home. I Owe it to him to find one. Please contact me if you are interested adapt! Thank you!!! 6469533882.